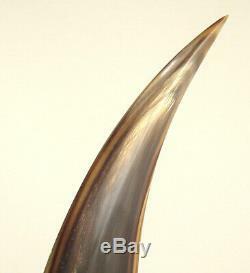 NOS Carl AUBOCK Vienna Workshop Horn LETTER OPENER Modernism 1950s 60s (13). 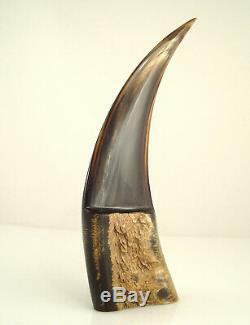 Carl AUBOCK - Horn - Letter Opener. The objects came all from one collection and have been acquired directly from the workshop in the period 1960-70. These objects are 99% new and unused, but they may have tiny signs of use / age as they are 40-50 years old. All objects are in pristine condition. 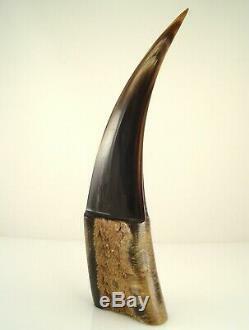 As the objects have been intended as a collection from the beginning, the preowner got them directly from the workshop and carefully selected only objects with a very special / beautiful pattern of the horn. 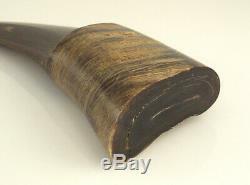 This offer is for an original Auböck horn letter opener. The design dates back to the 1950s. 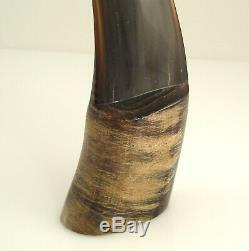 The Auböck horn objects were all unmarked, as the material did not allow it. 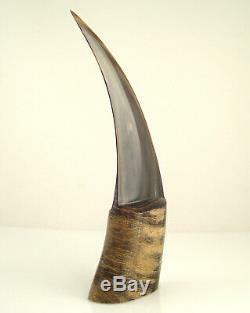 The material is natural horn. The letter opener measures 207mm in height, thickness at the base is about 25mm. One inch is 25.4mm. 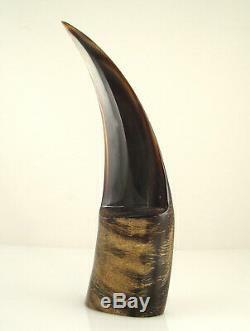 As far as I know the models from the Auböck horn collection are no longer in production. The small matchbox is shown for size comparison and not included. This offer is for the described object only, the objects from the group photos could be available in my other listings. 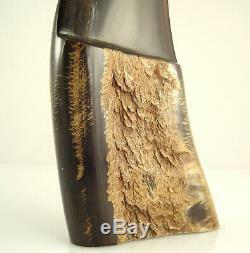 Please see my other listings as I offer many beautiful objects from the Auböck Workshop! Please contact me if any questions occur. A short introduction about the Werkstätte Carl Auböck. Der Wiener Maler und Designer Carl Auböck II zählt zu den bemerkenswertesten Künstlerpersönlichkeiten Österreichs. Anfang der 40er Jahre entwickelte Auböck jenen unverkennbaren Stil für Gebrauchs-gegenstände gehobenener Wohnkultur, der ihn nach Ende des Krieges im In- und Ausland berühmt machte. Den Höhepunkt bildete die Mailänder Triennale 1954, auf der Auböck vier Goldmedaillen für sein Werk erhielt. Nach seinem Tod führte sein Sohn Carl Auböck III (1924 1993), gemeinsam mit seiner Frau Justine, die Werkstätte weiter. Sometimes it can also take 3-4 weeks. Carriers I use are the Austrian Post and sometimes smaller carriers like Hermes and GLS. In your country the parcels will be delivered with a local carrier e. We are running a gallery located in the heart of Vienna specialized in dealing with antiques and Vienna Bronze figurines since 2001. I try my best to describe and show the items as clear as possible. Please take yourself the time to study the description and the images carefully. If you have any questions, please don't hestitate to contact me. 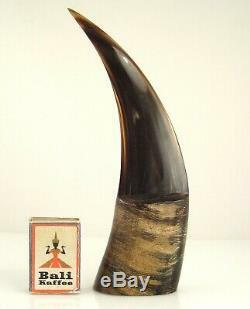 The item "NOS Carl AUBOCK Vienna Workshop Horn LETTER OPENER Modernism 1950s 60s (13)" is in sale since Sunday, March 24, 2019. 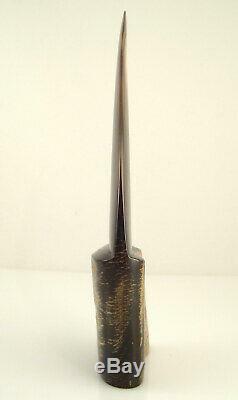 This item is in the category "Antiques\Periods & Styles\Mid-Century Modernism".w" and is located in Wien.